Hello, let us introduce ourselves : we are the de Best family – José, Kelly, Amber, Yvanka and Marvin – mother, 3 daughters and son. In 2009, we emigrated to France to start there a whole new life. We’re living for a couple of years in the Auvergne and that feels really good. 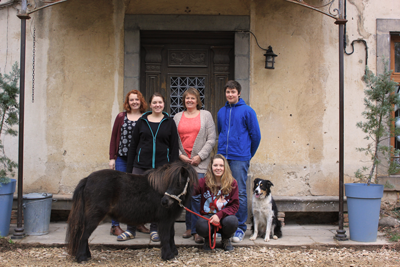 In 2016, we bought Domaine des Lilas to start a bed and breakfast, campsite and pony farming. A real family business that brings all our dreams and passions together. Since the purchase, the mansion has undergone a true transformation. With our fives, we have been renovating this beautifull place : we’ve put all our energy and love in this project.